Premier Doug Ford brought his post-budget promotional tour to Markham today to tout not just his government’s broader budget initiative, but to focus on the $40 million “Driving Prosperity” auto sector boost in it. 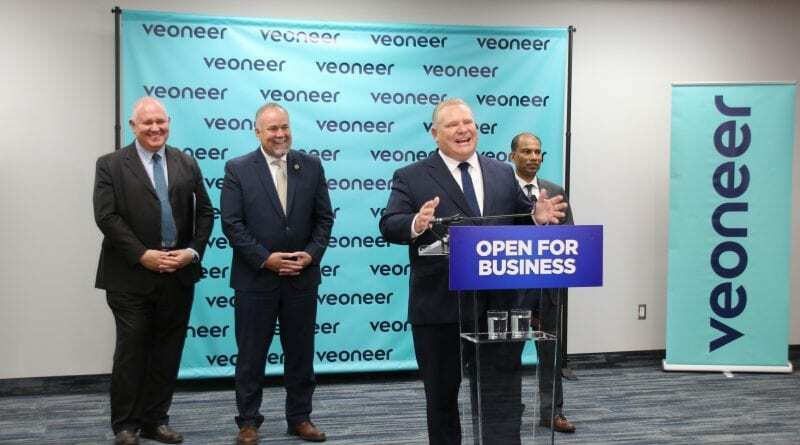 Joined by his “absolute rock-star” Minister of Economic Growth, Job Creation and Trade, Todd Smith as well as Markham-Thornhill MPP Logan Kanapathi and Markham Mayor Frank Scarpitti, the premier made his remarks at one of the local success stories in the industry, Swedish-based Veoneer. 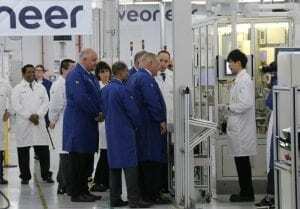 Veoneer specializes in sensors, cameras and safety electronics that make autonomous cars possible, producing them in the immaculately clean Markham facility. However, Veoneer General Manager Brett Johnston also noted that some of the technology is already in higher-end cars with “advanced driver assistance systems” now on the road. Their lane and crash sensors are in many common brands including GM, Ford, Chrysler, Honda, BMW and Kias among others. Invoking his government’s slogan, Ford said “Congratulations to Veoneer for making this investment in our province. 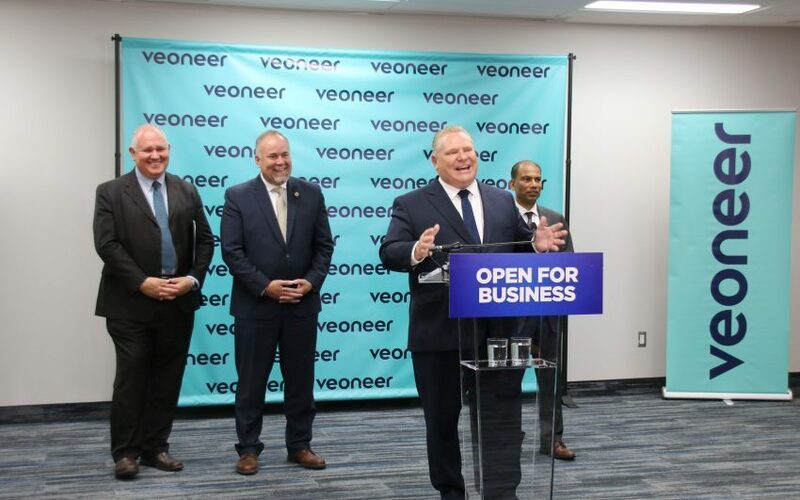 Job creators are getting the message that Ontario is open for business.” The investment noted is the 750 -plus people at the Denison Street location with plans to double the footprint and hire more than 300 new employees over the next couple of years. That of course was music to Scarpitti’s ears as he lauded both Veoneer and Fords new budget initiative that Markham will benefit from. 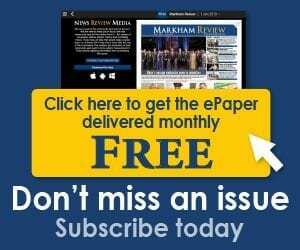 It is the second time this week, Scarpitti has given props to the premier. Earlier he was first to the mic to praise the subway extension into York and did so again at Veoneer thanking the provincial government and repeating the Ford slogan “Ontario is open for business and so is Markham,” pointing out that Markham has the lowest industrial tax in the GTA. ← Seneca partners with RVC in U.K.